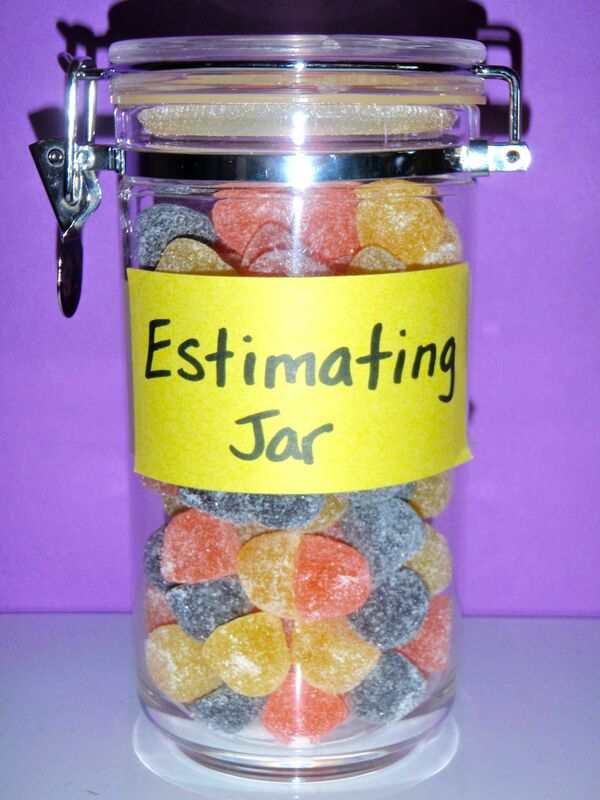 Most students have had the opportunity to estimate the number of candies in the jar and explain their thinking. We are waiting with anticipation for Halloween so we can count the candies, see who’s estimate was closest, discuss the estimating strategies and of course eat the candies. Try estimating and counting groups of things at home for practice. Tomorrow we are going to practice more estimating with coins. This entry was posted in Numeracy by Ms. Duemm. Bookmark the permalink.